Well done Brunel once covered they may not be seen again for a very long time. I must have ridden up and down that tram track as a Lad on my way to and back from Roundhay Park. I can't remember if we could get a Tram from Dewsbury Road up to there or if we had to change in Briggate. P.s. Though I do recall as a kid using the Tram up Chapeltown Road to visit my Aunt who lived behind the Mexboro'pub. I now think the Tram to Roundhay Park turned up Roundhay Road at the bootom of North Street. THE HAREHILLS AVE. TURNBACK REVEALED. A short spur leading in/out of Harehills Ave. was used for Moortown, Roundhay trams, terminating their journey at Reginald Terrace. It was in use in 1920's/30's. Also see LEEDS TRANSPORT IN COLOUR 1880-1952 JIM SOPER ...Page 26. Thanks Brunel for the photos . I like seeing such bits of old Leeds. 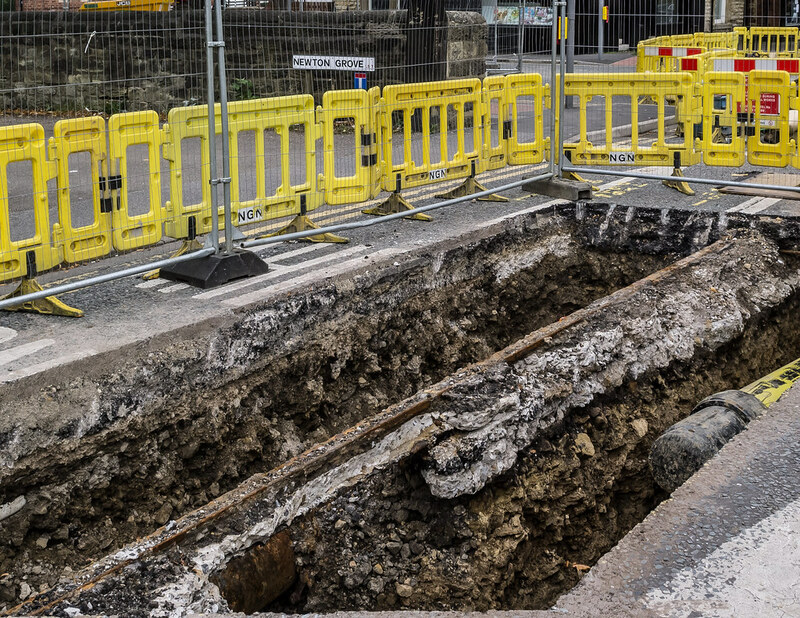 I wonder where the best remains (presumably covered) of tram tracks are in Leeds? I would think that in the 1950s when the Tram system was being replaced by Buses that the Council would hvae simply covered the Tracks over in most cases. I certainly don't recall vast amounts of Tramlines being lifted and transported away. It would have been a mammoth job. Only easily accessible track was lifted, on the various reserved sections it was surface mounted. All the track buried in tarmac was left in situ. In that case a good candidate for Leodian's "best remains" query would be the superb all-ways junction arrangement at the Briggate, Boar Lane, and Duncan Street intersection.